A barge carrying construction materials to the Windlectric wind farm site on nearby Amherst Island sank this past weekend, polluting Picton Bay with diesel fuel. The bay is the source of drinking water for Picton; at the time of the incident, the wind power company had not yet filed a mandatory Marine Logistic Plan to document safety measures. The Amherst Island group says in light of violations of terms of the power developer’s agreement with the government, the project –which will cost Ontario electricity customers $500 million over 20 years–should be cancelled. The Association to Protect Amherst Island issued this statement today. Prince Edward County Mayor Robert Quaiff has declared a water emergency as a result of contaminants approaching the Picton-Bloomfield water intake due to a partially sunken barge in Picton Harbour under contract to McNeil Marine and ultimately under contract to Algonquin Power/Windlectric for the proposed Amherst Island Wind Project. The silence from Algonquin Power/Windlectric is deafening. Indeed Algonquin/Windlectric had the audacity to attempt to continue aggregate delivery from Picton Terminals to Amherst Island yesterday (Tuesday March 28 2017) but was thwarted either because either the water was too low or the dock too high, yet another example of the comedy of errors associated with this ill-conceived project. The Association to Protect Amherst Island reiterates its request for MOECC to issue an immediate stop work order for the Amherst Island Wind Project until such time as a comprehensive report is available for the Picton Harbour incident and a preventative action plan is is place to address the high risk to public and environmental safety of all aspects of the project. and to address the need for a Major Design Modification to address the changed project location to include Picton Terminals. At the same time, the Association reaffirms its request to reject the proposed amendment to the Certificate of Property Use for the contaminated Invista Lands on Bath Road (EBR 012-9749) designated as parkland. 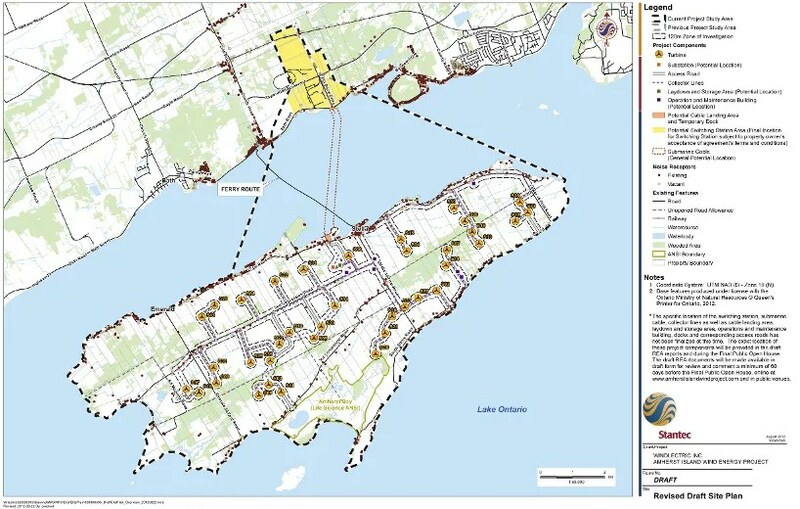 Similar to the Picton Harbour situation, a water intake exists in proximity to the proposed mainland dock for the Amherst Island Wind Project and serves a local industrial park. Algonquin/Windlectric in its Marine Safety Plan now advises that fuelling of barges is proposed at the mainland dock location. Not only is the land contaminated with the possibility of pollution of Lake Ontario, the company plans to fuel in proximity to a water intake. The same “Marine Safety Plan” fails to address any aspect of transport of materials from Picton terminals except for a vague reference that “The bulk barge and the ATV (Aggregate Transfer Vessel) will approach and leave the island dock area from the west, . . . ” as if from the Land of Oz. The Association is in the process of reviewing this “too little, too late” document and will have further comments about use of barges in ice conditions, the lack of traffic volume, lack of simulation of barges crossing the ferry path, incomplete information about the installation of the high voltage transmission line from the mainland to the Island and the total lack of risk assessment, failure to mention Picton Terminals,among other matters. The use of an “Aggregate Transfer Vessel” was not identified in the REA submission and no stockpiling of aggregate was proposed other than in immediate proximity to the proposed cement batching plant by the Island school. The Association has emphasized the importance of marine safety since this project was proposed and has pleaded with politicians, MOECC, Ontario’s Chief Drinking Water Official and the Chief Fire Marshall and Head of Emergency Preparedness. Please take immediate action to stop the Amherst Island Wind Project before a tragedy occurs. The Association to Protect Amherst Island, whose appeal of a huge, invasive wind power project planned for the tiny island was recently dismissed, is asking the federal Minister of the Environment and Climate Catherine McKenna to conduct an environmental assessment of the impact of the power project. The Environmental Review Tribunal in its decision to dismiss the appeal accepted much of the Appellant’s evidence on endangered species on the island, but in the end determined that the population of Blandings turtle in particular would not be affected by the power development. The citizens’ group is pondering its next move, which could involve an appeal at Divisional Court. In its request to the federal environment minister, APAI refers to a recent announcement by the American Bird Conservancy which recommends that wind power projects, because of their role in bird and bat mortality, not be located near the Great Lakes. In Ontario, many power projects are located or planned for along Great Lakes shores. 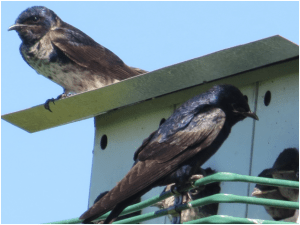 A recent report by Bird Studies Canada showed that bird and bat mortality rates are far higher than predicted by the power developers; Ontario is responsible for 77% of the bat deaths in Canada, due to wind power projects. 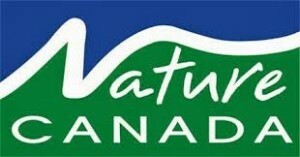 In an unprecedented partnership, Nature Canada has been joined by Ontario Nature, the Kingston Field Naturalists and the American Bird Conservancy in opposition to a recently approved industrial wind energy project that threatens birds and other wildlife on Amherst Island. “Ontario’s decision to approve Windlectric’s 26-turbine project on Amherst Island—one of the province’s crown jewels of nature—is another in a string of ‘tough on nature’ decisions to build wind energy projects in Important Bird Areas in the region” said Stephen Hazell, Nature Canada’s Director of Conservation. The recent approval of the Amherst and White Pines projects are very bad news for birds, bats, and turtles, and represent the significant industrialization of these ecological treasures. The “new” industrial landscapes will no doubt shock tourists used to the bucolic vistas of the region. We are all awaiting the final decision on the Ostrander Point project proposal by the Ontario Environmental Review Tribunal. Valiantly defended by the Prince Edward County Field Naturalists, Ostrander Point is Crown land with habitat for rare species of animals and plants on the south shore of Prince Edward County. A proposal to build twelve 150 metre high wind turbines on it was approved, and then successfully appealed by the Naturalists, before passing through all levels of the Ontario judicial system. Now it is back in the hands of the Environmental Review Tribunal for a final decision. Is Ontario’s push for giant wind farms killing the green energy movement? Is Ontario’s rush to wind power killing the green energy movement? Ontario’s stance as an environmental activist province in Canada and would-be leader in climate change action is taking a beating after the government approved two controversial wind power projects, and continues to fight environmental groups and citizens on a third. 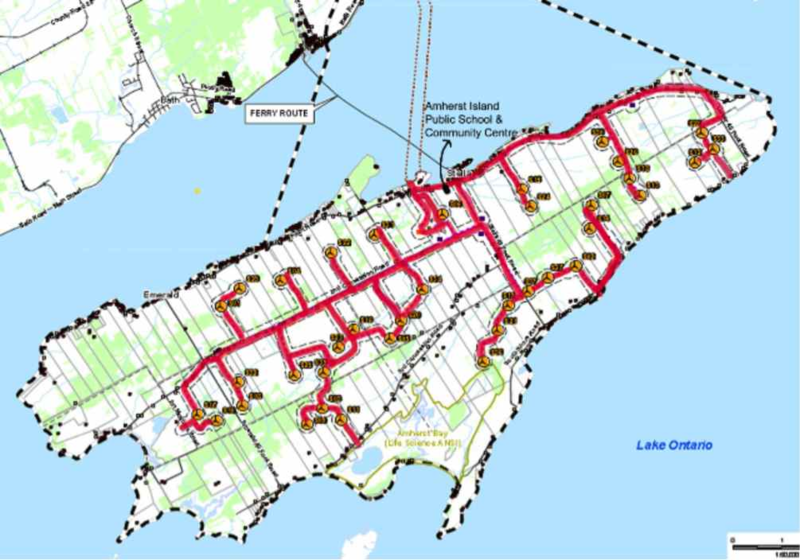 Last week, the Ontario Ministry of the Environment and Climate Change approved a 75-megawatt power project on tiny Amherst Island in Lake Ontario. The island is home to several species of wildlife declared endangered or at-risk by the same government, and is also a resting place for migrating birds. The birds attract eco-tourists from all over the world. The threat of the wind power project to the heritage environment is so great that Heritage Canada’s National Trust named the island one of Canada’s Top Ten Endangered Places. The Ontario government heads back to the quasi-judicial Environmental Review Tribunal in September, to hear the appeal of a wind power project at Ostrander Point, also in Prince Edward County, halted by the Tribunal in 2013 due to the danger to a rare species of turtle. After several sessions in court, the decision has been returned to the Tribunal where community groups are in the unusual position of spending hundreds of thousands to protect the environment from the Ministry of the Environment. The concern about Ontario’s pro-wind agenda and resulting environmental damage is not limited to the southern parts of the province. Canada is known around the world for its iconic landscapes in the Algoma region around Lake Superior, now also the site for unbridled wind power development. Hills and valleys made famous by Canada’s Group of Seven artists are now scarred by clear-cutting of trees, flattening of ridges, and the construction of roads and turbine foundations. Nature Canada and the Kingston Field Naturalists are calling for action to save Amherst Island, near Kingston, from a huge windpower generation project which will not only devastate the island community, but also endanger thousands of migratory birds and other at-risk or endangered species. 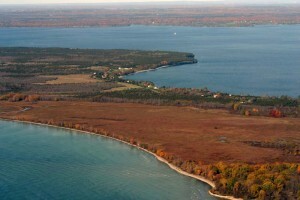 See this posting from the Association to Protect Amherst Island, below. Be sure to look at the project map below, too—how does the government excuse this in the name of “green”?